Collection of galax in western North Carolina has a major economic impact in the region that is not likely to be sustained using current practices. Wild populations will eventually be depleted due to over-harvesting and/or protected and restricted from collectors. Therefore, the development of commercial production systems is needed to ensure a continued ability to supply this product. This study represents a first step in establishing effective propagation methods for galax. Research and introduction of sustainable production techniques will enable residents of western North Carolina to continue to benefit from the utilization of native forest products. 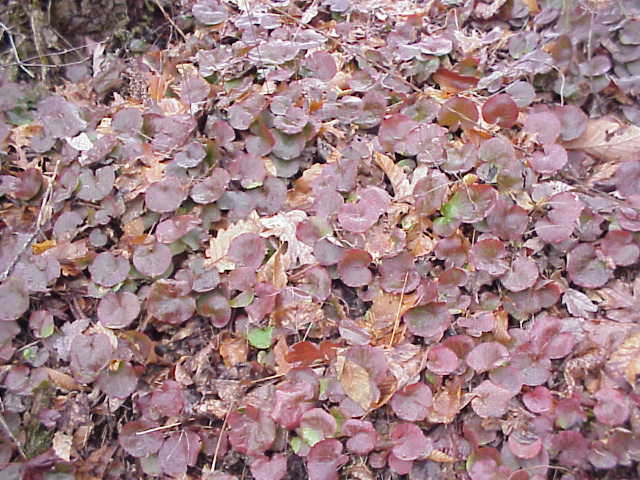 Galax (Galax urceolata) is a perennial plant native to the mountains of North Carolina and other areas of the eastern U.S. The foliage of this species is widely collected from the wild for use in the floral design industry. This crop has a major impact on the economy of rural western North Carolina, but current and projected future market demand is estimated to exceed current sustainable supply. In addition, galax foliage harvest may be closed or severely limited on public land in the near future. Either situation could destroy this important regional agricultural enterprise. The objective of this project is to acquire information that will foster commercial production of galax by mountain farmers. Our primary aim is to determine how to propagate galax in order to reduce wild-harvesting and protect existing native populations. Because this is a very slow growing crop, we implemented a dual approach in order to produce results in a timely manner: on farm trials were established under varying cultural conditions, and research trials were initiated at the MHCREC in Fletcher. Fourteen on-farm trials were established in all sections of Yancey County, North Carolina. Plants were transplanted from existing native stands to establish these plots. Shade requirements and organic soil amendments were evaluated. A literature review yielded little published research on galax propagation. However, conversations with propagators and nurseries provided some insight. Appropriate permits and permission were obtained to collected seeds from the wild. Germination was evaluated by varying light, temperature, and moisture. In addition, a by-product of the commercial galax collection and grooming industry is rhizome pieces. Tests were conducted to determine the impact of gibberellic acid and indole-3-butyric acid on bud and root development on sections of rhizome. Plant material was also provided to two tissue culture specialists who expressed interest in investigating this propagation method. On farm tests: Plants transplanted into 3-inch deep, ten-year-old sawdust and crushed leaves thrived even in dry conditions. Plants grown in full sun or partial shade without shade cloth did not survive. Shade cloth sites without the organic matter in the form of old sawdust/crushed leaves did not thrive. 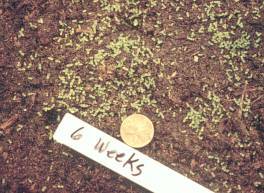 Seed germination: Viable seeds were wild collected in October, November and early December. Research results demonstrate that no scarification or stratification of seeds is necessary. Extended day length did not enhance germination. We were able to obtain germination at 65 F. night temperature/75 F. day temperature in 14 to 21 days by sowing seeds on sphagnum peat in a winter greenhouse and keeping seeds moist either under mist or in a plastic high humidity chamber (shaded plastic bag). Rhizomes: No tested rate of IBA (1250, 2500, 5000 and 10000 ppm quick dip) or GA3 (500 or 1000 ppm 15 min soak) treatment resulted in a higher percentage of rhizomes rooting or breaking bud by the end of the 3-month test period. Our trials revealed that soaking the rhizome is an important factor: rhizome pieces needed to be soaked overnight in room temperature water before they were stuck into our propagation media or the percentage of rhizomes producing leaves and roots decreased dramatically. GA3 treatments caused an earlier bud break at lowest concentrations but there was no significant difference in numbers of leaf buds to break by the end of 3 months. IBA did not increase the percentage rooting. However, by the end of the summer, 6 months or greater after inception of the experiment, those rhizome pieces treated with any concentration of IBA had filled 3 inch pots with roots and those that had not been treated with IBA had pots less than half full of roots. Tissue Culture: Neither lab had any positive results to share. This is a beginning. Seed propagation currently appears to be the most practical propagation method available. Galax is VERY slow growing but we now have enough plants so that we have initiated cultural studies. Our research demonstrated that propagation by rhizome sections is possible, but does not appear to be a practical means for commercial production. Tissue culture holds great potential for rapid increase of large numbers of plants, but techniques have not yet been established. Our on-farm tests demonstrated that we cannot circumvent or speed-up natural growing conditions yet. Galax must be grown in the shade, at least during the establishment phase. Galax roots establish best in organic growing media. 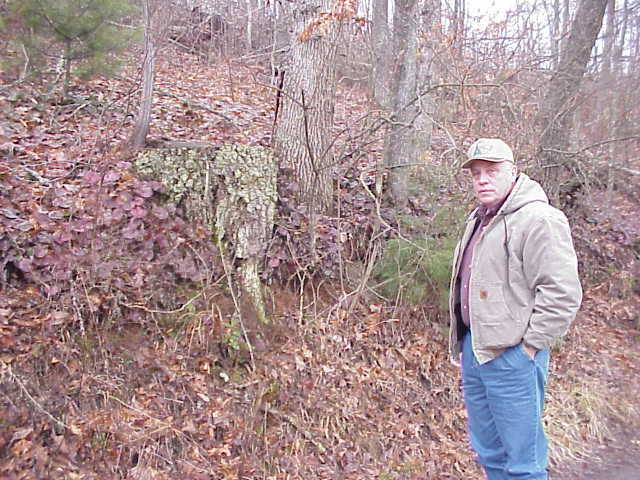 When thriving wild sites were investigated, most galax roots were growing in leaf mold from the deciduous forest canopy rather than in mineral soils. 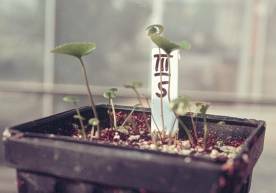 This research and associated work is scheduled to be reported at the International Plant Propagation Society 2003 Annual Meeting in Portland, ME. Investigations Into the Feasibility of Pyrethrum as a New Industrial Crop for N.C. The NC Alternative Crops and Organics Program, led by Jeanine Davis in the Department of Horticultural Science, helps farmers improve the sustainability and profitability of their farms through exploration of new crop opportunities, testing of improved varieties and production practices for conventional and organic vegetable growers, and development of environmentally friendly production systems. This is a statewide program but focuses on the needs of the small and medium size farms that make up the agricultural landscape of western North Carolina, and new farmers, hobby farmers, organic gardeners, and specialty crop producers across the eastern U.S.